I’m normally not one to attend parties, especially if drinking or dancing are expected. Or being awake past 9:01 p.m. There’s too much temptation for me to do an unannounced gravity check and meet Mr. Floor during these events. Especially Mr. Waxed Floor, whose most trusted friend, “Mrs. Lower Back Injury,” seems to be everywhere. My wife Dawn insisted that I at least try to go and enjoy myself. A local club was sponsoring an event near Downtown Springdale last year, during the prolonged period in which Emma looked like year 2 of the Vietnam War. As is always the case, I spent an inordinate amount of time planning my costume. Attending a Halloween party without wearing a costume is akin to eating the label from a jar of pickles and discarding the contents: it’s amusing, but in the end, not very rewarding. I take these things very seriously, as older adults get fewer chances to mock other adults without the risk of a scuffle. The riskiest thing I had done all last year was cast my vote for president and it seemed like I was still doing time for that error. As you would imagine, I got kicked out of the party. But not for a reason you would ever expect. These party people sure don’t have a sense of humor to match their drive to hold gatherings of strangers. I theorize that their thickening wallets cut off the blood supply to their cerebral cortex. “Why are you dressed like a quarter, X?” Several people asked me this as I milled around the Halloween party near Emma Street. ABC loved the screenplay I wrote as a pilot TV episode. In the opening scene, we find Dracula’s 7th cousin Jeb discovering he’s lost his sense of smell. In the next scene, there is an awkward exchange as Jeb pounces on a steaming bowl of tomato soup, mistaking it for a bowl of blood. From there, he breaks a fang on the neck of a mannequin at Macy’s. You’re welcome, America. Great logic, fun conclusion. But weirdly interesting. I realize that some people overthink this one. 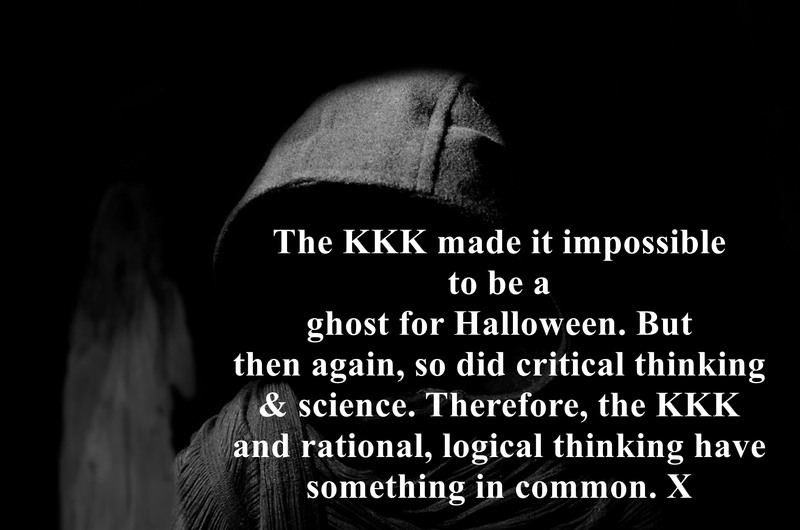 The idea is that critical thinking renders the idea of ghosts being both real and spooky to be moot.